The Distinguished Educator of the Year award recognizes and honors alumni educators who have made a significant contribution to the field of education. 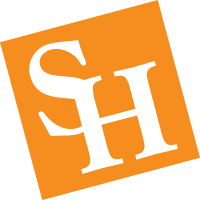 Nominees must be an alumnus of SHSU's College of Education, and have demonstrated expertise or outstanding service in the classroom, school, district, and/or community. Nominees may be current employed or retired, and self-nominations are welcome. *The purpose of the Friend of Education award is to recognize and honor individuals or businesses that have made a significant contribution to the field of education. (Does NOT have to be an alumnus of SHSU).